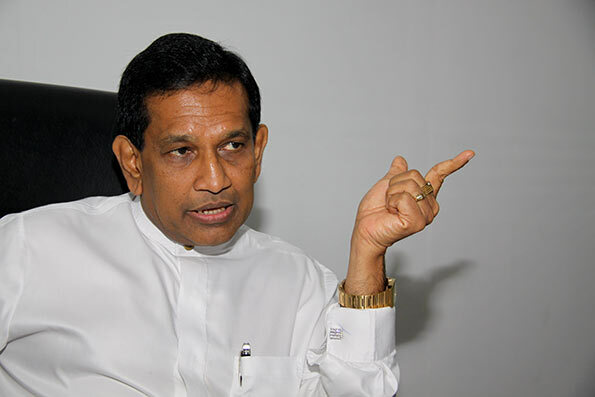 Health Minister Rajitha Senaratne, in response to a strike planned by doctors, said he would not shy away from such threats. He urged the Government Medical Officers’ Association not to put people’s lives in jeopardy by resorting to trade union action because of unfounded charges against the health authorities. The minister said a merit system had been introduced for both the internship and the post internship appointments of doctors. “The GMOA sought representation at a transfer board. Only the Health Ministry decides on appointments depending on vacancies and shortcomings. Certain hospitals in the north and the east and Nuwara Eliya were closed down because of interference by the GMOA. We are now going to reopen them,” he said. He said, “I will not be cowed by any Mafia group. A trade union bureau has been opened at the Ministry. I suggested that trade union office bearers be released from work for full time activities at this place. But, they have not acted on it. if this goes on the only remedy is to tax these doctors on all there private practice money and use that money to educated the future doctors. GMOA is a mafia and does not consider national needs. we have to open more private medical collages and make them cheap. I agree with first comment of the “concerned” yes they have forgotten their oath and putting the lives of the poor in jeopardy . Having said that not all the doctors campaign for these type of power based issues. There are few good doctors who feel for the poor. However, Yes if their private practice can be taxed they will feel the pinch.